Re-creations and custom art project. A replica is a highly accurate copy of the original work Replicated by talented artists. They bring the art to life; you can see, touch and feel the brushstrokes. Our reproductions are made the same way the artist did it. When you purchase a replica from Museum Replicas, you're getting more than your money's worth. 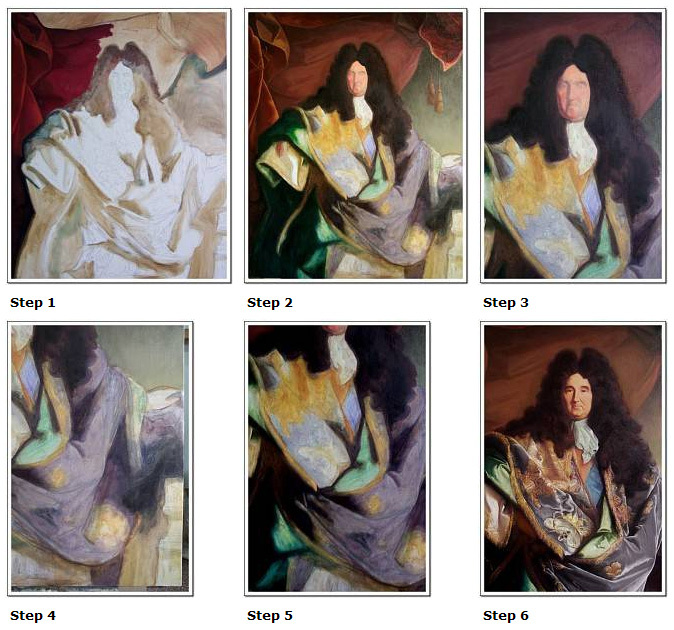 How well does a reproduction resemble the original? Our reproductions make you feel the passion of the artist. Our paintings aren’t "transfers" of a photographic image on to canvas, but are hand painted on a pure linen canvas by talented artists. This gives work of art a more authentic feel that is sure to enhance whatever room you place it in. Indistinguishable re-creations of garden statue, Byzantine Mosaic and Icon, and tapestry. They are indistinguishable from the originals! These are Guaranteed Museum Quality replicas. The Process for replicating Bronze. 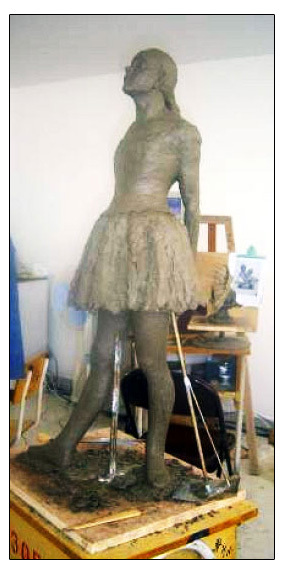 Bronzes are created from original sculptures from which master molds are created. Each casting is created with the same eye for detail and quality of the product as the original. Legal re-creations of masterful works of Byzantine Mosaic, Byzantine Icon, garden statue, and tapestry. 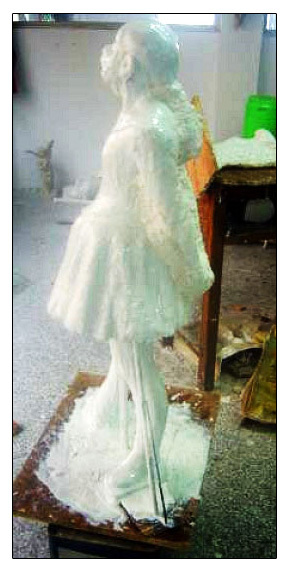 High artistic skills and a considerable amount of time go into the production of each Sculpture. The lost wax method technique involves a great amount of steps. Following the steps taken in the reproduction of "The little Dancer" after Edgar Degas. Following the steps taken in the reproduction of "The little Dancer" after Edgar Degas. required to get a finished work in clay. Step 2: Forming of the mold around the clay. Absolutely. Museum Replicas wants to stress that these works are copies and we do not attempt to pass them off as an originals. We only produce copies of works which have passed out of copyright and into public domain. This means that the artists must have been deceased for at least seventy years. Our reproductions are legal copies of tapestries,vases, garden statue, Byzantine Mosaic, and Byzantine Icon, so this has nothing to do with forgery. With Museum Replicas you can finally get the works of art that you've been enjoying in museums for years. Enhance your home or office with a masterful recreation from Museum Replicas. We know you'll enjoy it.